This medication works by stopping the flu virus from growing. It is not a substitute for the flu vaccine. (See also Notes section. The flu itself or oseltamivir may rarely cause serious mental/mood changes. This may be more likely in children. Tell your doctor right away of any signs of unusual behavior, including: confusion, agitation, self-injury. List Oseltamivir PHOSPHATE side effects by likelihood and severity. Before using this medication, tell your doctor or pharmacist your medical history, especially of: kidney disease (including dialysis treatment). Does Oseltamivir PHOSPHATE interact with other medications? If you miss a dose, use it as soon as you remember. If it is within 2 hours of your next dose, skip the missed dose and resume your usual dosing schedule. Do not double the dose to catch up. 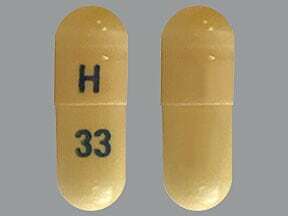 This medicine is a light yellow, oblong, capsule imprinted with "H" and "33". This medicine is a gray, oblong, capsule imprinted with "H" and "32". This medicine is a light yellow gray, oblong, capsule imprinted with "H" and "5". 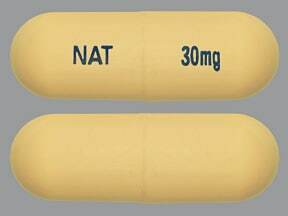 This medicine is a yellow, oblong, capsule imprinted with "NAT" and "30mg". 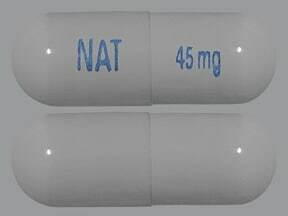 This medicine is a gray, oblong, capsule imprinted with "45 mg" and "NAT". 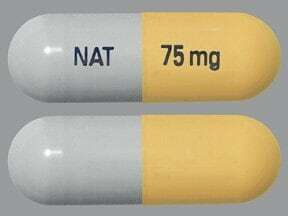 This medicine is a yellow gray, oblong, capsule imprinted with "NAT" and "75 mg". 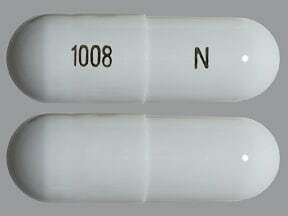 This medicine is a white, oblong, capsule imprinted with "1008" and "N". 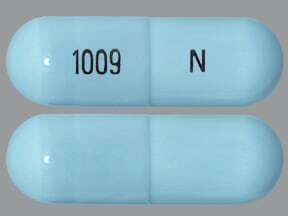 This medicine is a light blue grey, oblong, capsule imprinted with "1009" and "N". 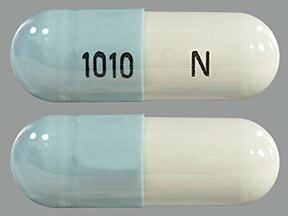 This medicine is a light blue grey white, oblong, capsule imprinted with "1010" and "N". Are you taking Oseltamivir PHOSPHATE? Are you considering switching to Oseltamivir PHOSPHATE? How long have you been taking Oseltamivir PHOSPHATE?